Our mission is to offer travellers unrivalled savings to a selection of hand-picked luxurious destinations, creating unforgettable holidays at affordable prices. Sorrento Travel & Cruise create unique travel experiences. We listen to what you want and use our insider knowledge and carefully curated travel partners to design a holiday experience to fulfil your needs. Sorrento Travel & Cruise has been providing high quality travel services since 1974 and locally since 2002. We have been in the travel industry a long time and we know our business. Our staff are dedicated, passionate and experienced. 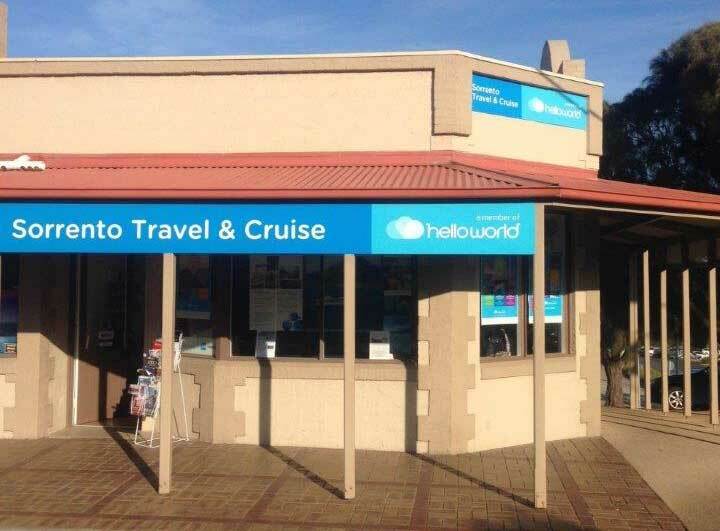 As a member of the Helloworld travel network our customers enjoy combined purchasing power of Australia’s largest network of travel agents and you are protected by the Helloworld consumer protection policy. We are a participating agent for all American Express Membership rewards. We are a member of Australia’s peak travel agency body AFTA and are ATAS (AFTA Travel Accreditation System) accredited allowing you the knowledge that you are in good hands. At Sorrento Travel and Cruise we are a cruise specialist agency with exclusive access to cruise packages and deals as part of the Worldwide Cruise Centre buying group. Our membership with CLIA (Cruise Lines International Association) provides structured training and ship inspections. Our staff have extensive cruising experience and qualifications and can match each guest to their perfect cruise. We care because this is an independently-owned local family business. We are not only an integral part of the Sorrento community, we also take considerable pride in actively supporting and sponsoring schools, sporting and other local organisations. Not only do you share in our knowledge and experiences, but our pricing is competitive; that’s what we mean by real value. Our personal travel experiences and client feedback keep us updated with the latest with airlines, hotels and cruises. From each one of our highly experienced Team Members, you can count on expert advice, options, recommendations and solutions for all your travel plans. Our clients are confident we will deliver on service support and expertise as well as price which is why we have enjoyed such a long standing service within the community. Let us create a seamless travel experience you will never forget. Tanya is a travel professional with more than 35 years as owner and manager of Sorrento Travel & Cruise. She took over the business started by her father and in 2002 relocated to the Mornington Peninsula. She has travelled extensively and has a wide product knowledge on airlines, hotels, tour companies and behind the scenes secrets. 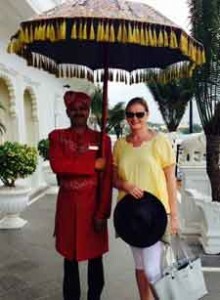 Tanya has travelled extensively through UK and Europe, United States, Mexico, South America, Asia, the Maldives, India, New Zealand and the Pacific. Travel is more than just the destination, but sharing experiences and cultures with locals and fellow travellers. A recent trip to India was a surprisingly rich and fascinating experience, while the visually stunning Maldives was true pampering. Tanya has a way with airfares and finds ways to save on even the most complicated itineraries. She is very experienced with organising group travel and has arranged groups from small groups of 30 students to Fiji up to 250 passengers to Europe. With a surfing family and living near the beach, surf travel has been a part her family’s holidays and she has a lot of experience organising surfing holidays and groups for boat charters in the Mentawai in particular. 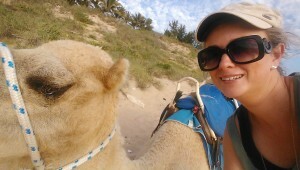 Tanya has many clients and their families who are now returning in the third generation to book their travel. This is due to her dependability and attention to detail. Natasha has been with the Sorrento Travel & Cruise team for 6 years and worked in the travel industry in a variety areas for 15 years. She has experience behind the scenes with wholesalers and working directly with clients and knows firsthand how to source the best products and ensure your holiday is perfect. Fiji, Bali and within Australia, New Zealand and has also travelled to Europe, America and Singapore, Hong Kong and Malaysia. Natasha does not have one place that she rates as a favourite, but says she did love her recent trip to Fiji and found it to be the prefect family holiday destination. Natasha is an expert on travel with kids. In recent years having small children and travelling as a family has given Natasha the experience to find the best family holiday options for all budgets so everyone in the family has a wonderful holiday. She also thoroughly enjoys planning Honeymoons and Celebration Holidays.